Get our complete set of Thin Blue Line Products today! In the set you get the Thin Blue Line Tie Pin, Union Jack Badge and Trolley coin! All this for only £9.99. A saving of £5.49 when you buy all three together! Plus we continue to support our colleagues at Call4Backup.org by donating £1 from every sale to the Registered Charity. Everyone knows the the thin blue line badge. 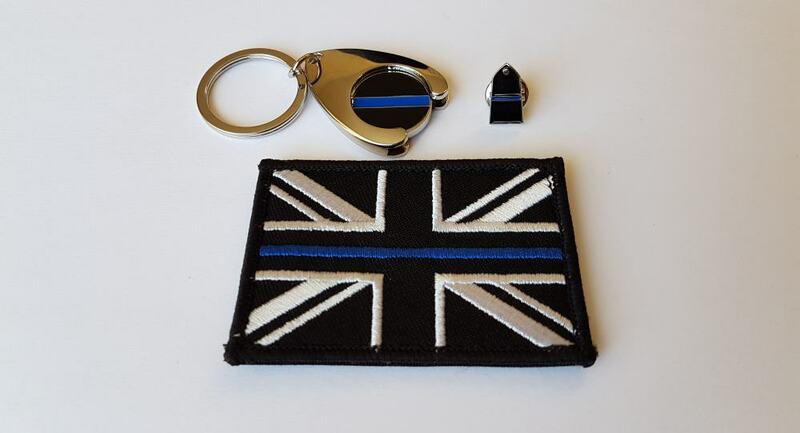 So we have included a thin blue line trolley coin and Tie pin to accompany it! Plus if you buy them together you save over £5.00! Don't forget £1 is also donated to our chosen charity!